#occupyjustice: Adrian Delia must resign. Joseph Muscat is disgusting. Statement issued by #occupyjustice this afternoon. Anyone suspected of involvement in criminal activity has no place in a public position. For this reason, yesterday’s media report that the FIAU has recommended a criminal investigation into possible money laundering allegations with the involvement of the Leader of the Opposition Adrian Delia, makes his position untenable. The Leader of the Opposition must resign now. Furthermore, the Prime Minister, Joseph Muscat’s, reaction to this news was disgusting to say the least – he defended Adrian Delia. Which Prime Minister would not want the Leader of the Opposition of his country, suspected of money laundering, to step down? This is a Prime Minister who has been protecting his two top aides – Konrad Mizzi and Keith Schembri – for more than two years, despite black on white evidence that they are involved in the 17 Black money laundering racket, and despite the fact that they are under investigation. The Prime Minister’s reaction in itself shows that he is happy to turn the tables on the Opposition to save his skin. This should all the more make the Opposition Leader realise that he has now lost all credibility, and in the interest of the country, should resign immediately to ensure that the fight against corruption is fought properly, and that the country is finally released from the crooks who are running it. We hereby tell the Prime Minister that he may weaken the opposition all he likes, but #occupyjustice will not rest until justice is served. 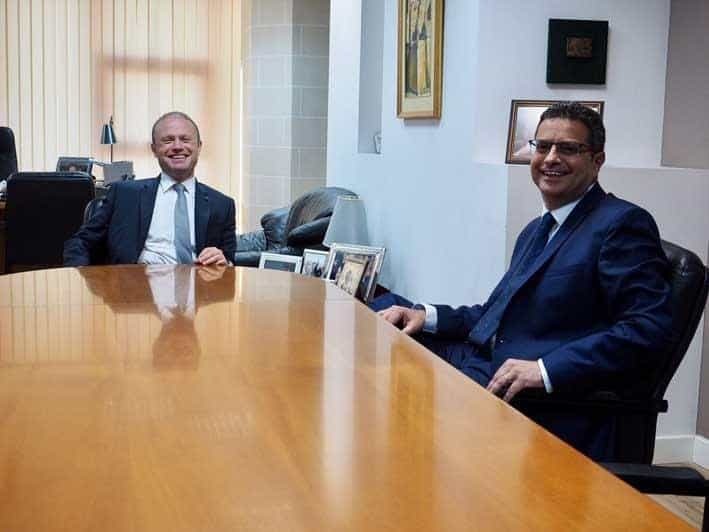 And justice will only be served once the Prime Minister resigns and takes with him his two sidekicks who are nothing but bandits stealing from the pockets of Maltese citizens and residents. This is our nation, this is our home and we are the people. We deserve better, we expect better, we demand better.